2003/2004 'Procreation' Shortlisted for the Fish Short Story Prize. I’m a proud Yorkshire woman, tennis nut and tea drinker and believe a walk on the beach will cure most ills. Unlike Rose Haldane, the identity detective in my novels, I’m not adopted. But an over-active imagination as a child gave me a fascination with identity – how we become who we are, are we shaped by our families or our experiences – and what happens if your family is unknown? After 35+ years as a journalist writing news and features about business, interior design and furnishing, travelling the world in search of the perfect sofa, I started writing fiction. I’ve interviewed chief executives, politicians, designers, retailers and members of the public and as well as writing copy I also designed magazine pages, managed teams of journalists, balanced budgets and presented an annual awards event to 1000 guests. Now I write every day and blog regularly at my website about the books I read, authors I admire and the process of writing. Rose Haldane, journalist and identity detective, reunites the people lost through adoption. She is an identity detective. She researches the stories you don’t see on television shows. The difficult cases. The people who cannot be found, who are thought lost forever. Connectedness is the second book in the 'Identity Detective' series. Artist Justine Tree sells her art around the world, but does anyone truly know her? When her mother dies, she returns to her childhood home in Yorkshire where she decides to confront her past. She asks journalist Rose Haldane to find the baby she gave away when she was an art student, but only when Rose starts to ask difficult questions does Justine truly understand what she must face. I’m currently writing Sweet Joy, third in the series, and am researching such diverse topics as the life of a textile designer in the Sixties and life during The Blitz in wartime London. After a career of writing for magazines as journalist, editor and publisher, training journalists on-the-job and teaching journalism at adult education level, I now use my experience writing fiction to teach creative writing. My teaching speciality is focussing on creativity and inspiration, finding the spark to start writing again when your brain has stopped working and feels full of mush. As well as collaborative class exercises, I pass on the tricks I have learned throughout my writing career. Many enthusiastic writers suffer with writers’ block but there are quick and easy ways to help yourself start writing again from visual prompts, using sound, the senses, music, everyday objects and writing flash fiction. My experience as a journalist means I can also talk about how to prepare for writing, including how to research a subject and conduct interviews. I’m also happy to give talks about how I turned my interest in identity into fiction, combining structural elements of crime fiction with romance and genealogical mystery, and knowing when to stop researching and start writing. Free PDF handouts will be given to students at the end of the workshop including recommended books for authors, novels/short stories/flash fiction to read, and resources for writers. 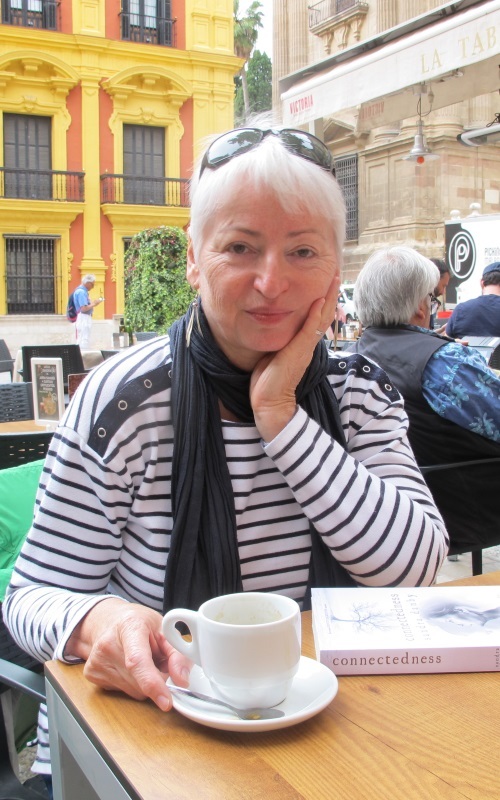 I recently talked to the Costa Press Club in Marbella, Spain, about my life in Andalucía and how I included that in ‘Connectedness’. I have done TV and radio interviews many times throughout my career talking about design trends and retail business. Most recently, I have been interviewed by Hannah Murray on ‘The Book Show’ [Talk Radio Europe] about my novels. 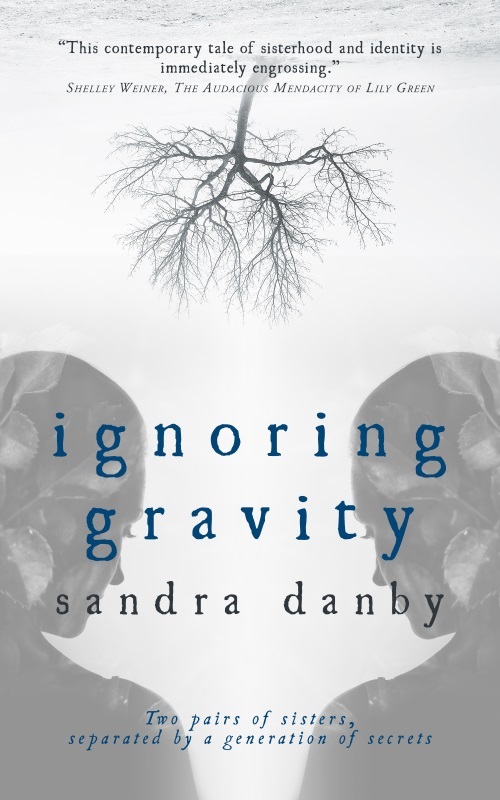 Listen to the interviews here – Ignoring Gravity, and Connectedness. I love meeting readers and am always amazed at their enthusiasm for my books and the willingness to share their own family stories, adoption experiences and genealogy research. Sometimes, truth is stranger than fiction. At a meeting with the Cómpeta Book Group in Spain I was asked particularly about the tree imagery which features throughout the ‘Identity Detective’ books, and I’m always happy to answer any questions readers may have about my books. It’s always nice to do book signings at the end of an event. If I drive to the event I can bring my own stock of books as well as roll-up banners that set the theme nicely for the event and help to create ambience. I live in Surrey and am happy to travel to other parts of the country. TO THE OUTSIDE WORLD, ARTIST JUSTINE TREE HAS IT ALL… BUT SHE ALSO HAS A SECRET THAT THREATENS TO DESTROY EVERYTHING Justine’s art sells around the world, but does anyone truly know her? When her mother dies, she returns to her childhood home in Yorkshire where she decides to confront her past. She asks journalist Rose Haldane to find the baby she gave away when she was an art student, but only when Rose starts to ask difficult questions does Justine truly understand what she must face. Is Justine strong enough to admit the secrets and lies of her past? To speak aloud the deeds she has hidden for 27 years, the real inspiration for her work that sells for millions of pounds. Could the truth trash her artistic reputation? Does Justine care more about her daughter, or her art? And what will she do if her daughter hates her? This tale of art, adoption, romance and loss moves between now and the Eighties, from London’s art world to the bleak isolated cliffs of East Yorkshire and the hot orange blossom streets of Málaga, Spain. 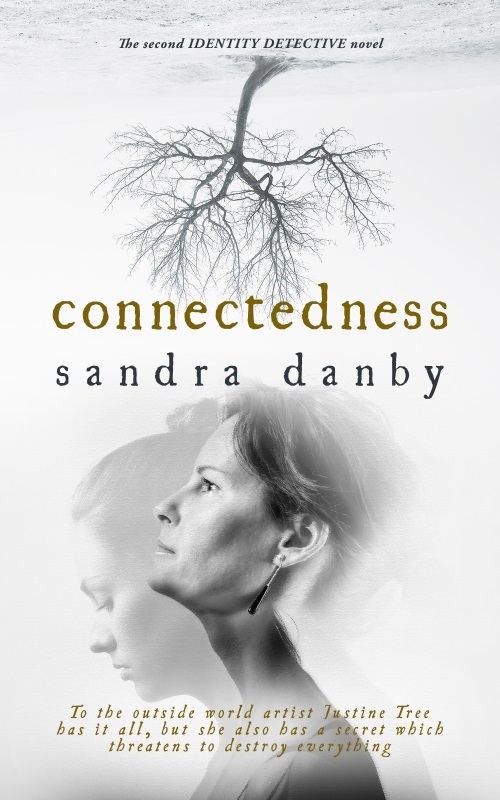 CONNECTEDNESS is a family saga of mother and daughter secrets. If you love Maggie O’Farrell, Lucinda Riley, Tracy Rees and Rachel Hore, try this. Featuring the best of the fifth annual London New Writing Competition sponsored by London Arts, this anthology includes both new and established writers. The theme for this year's anthology is Diaspora City, reflecting what it is like to live in the world's most culturally diverse capital. Essential reading for Londoners and all those fascinated by new writing from a diversity of experiences, this collection contains a lively mix of short stories, narrative non-fiction, reportage and memoir. Features Joanna Lumley, John Berger, Francis King, Toby Litt and more. 'Mother' is a word heavy with associations. Becoming a mother is surely one of the biggest changes and challenges in a woman's life. It is at once an absolutely unique experience, and yet one which is so common that it is often overlooked. Motherhood is intense, relentless and absorbing, in all senses of the word. Popular culture seems to have a split personality when it comes to motherhood - at once holding it up as a sacred ideal, and yet being a little dismissive of women as mothers. A diverse international group of women have been brave enough to share their stories, poetry and artwork to encourage you to think and feel about this most influential of relationships in a new and enlightened way.